San Francisco, CA – November 20, 2018 – For the first time ever, The Clapper joins forces with Star Wars! 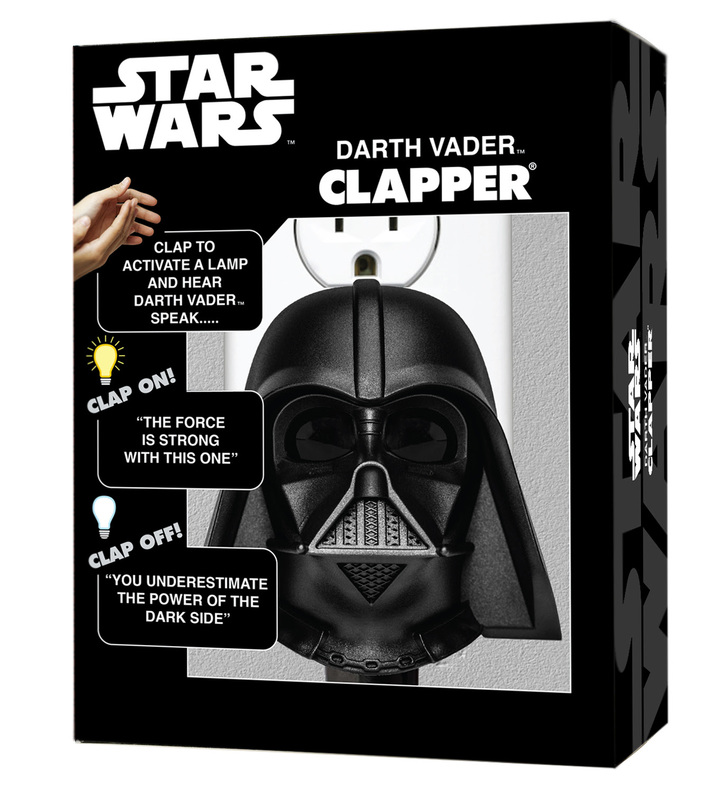 The epic collaboration is the first in the history of The Clapper, and the first product from that alliance is the Darth Vader™ Clapper with Sound, in stores now. 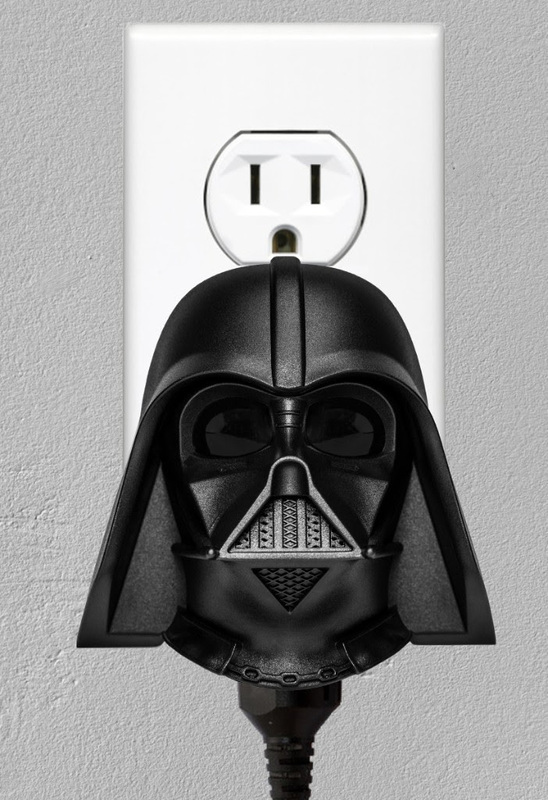 With this newest release from Joseph Enterprises, Inc., fans can hear the voice of Darth Vader by plugging a lamp or other device into the Star Wars Darth Vader Clapper and turning it on and off with a simple clap of their hands. You’ll hear a Darth Vader quote each time to indicate your command has been received. 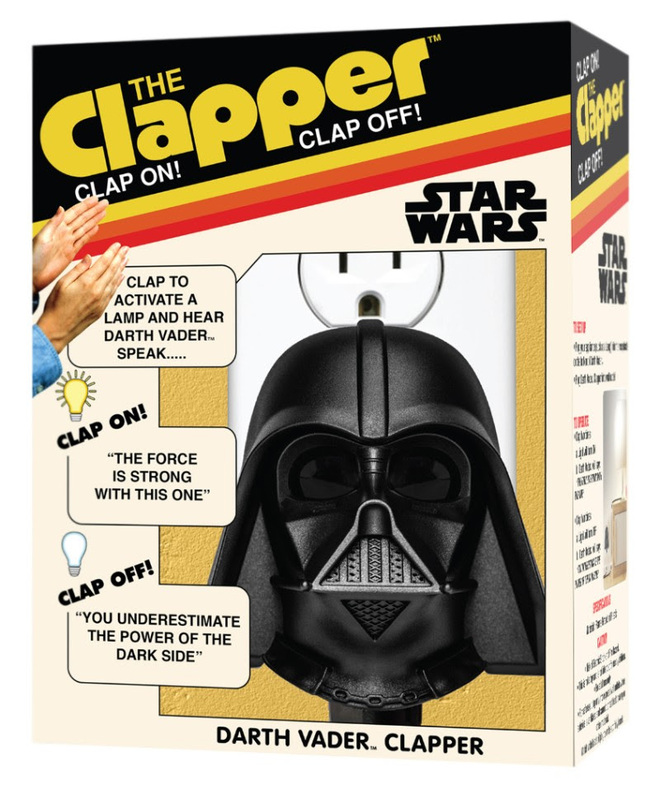 In a nod to The Clapper’s original box design, the Darth Vader Clapper is available in retro-style heritage packaging as well as modern black packaging. Both have a suggested retail of under $30 and can be found in stores now. 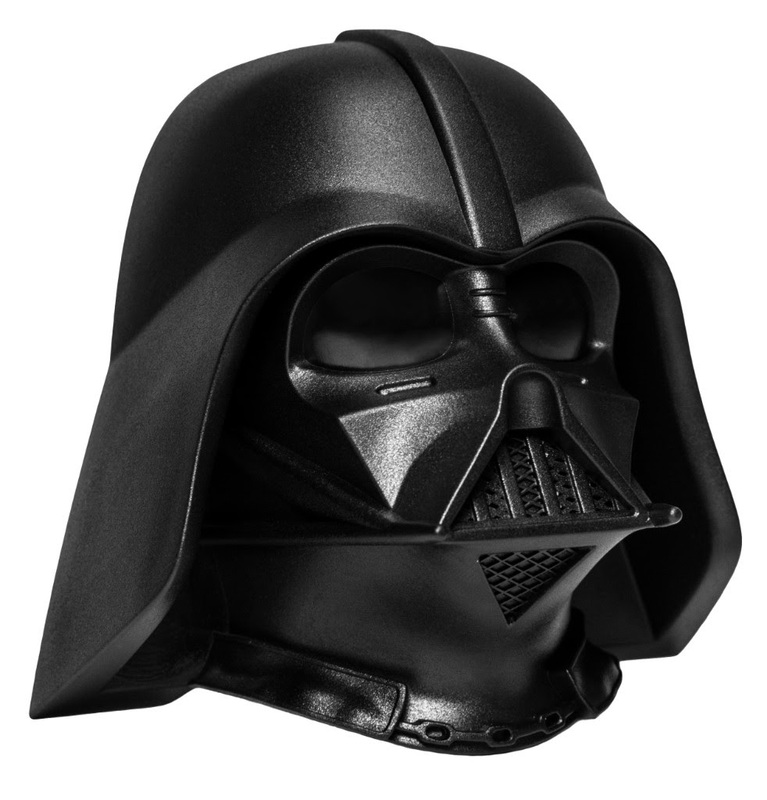 Featuring a sculptural design in the shape of Darth Vader’s iconic helmet, this is not only a functional piece but a decorative one, perfect for any fan this holiday season! For more information, visit clapon.com.